Can Home Insulation Service Save You Money? Hiring an insulation service in Vancouver, WA is the best way to lower electricity usage and heating costs. Poor insulation, a lack of insulation, or damaged insulation are usually responsible for heat loss throughout your home in the winter, or loss of cold air during the summer. A poorly insulated home can put stress onto your HVAC system. When it works harder, you pay more. 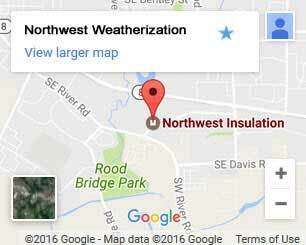 For your next insulation repair or replacement, contact Northwest Weatherization. Not only do we make the necessary repairs fast and efficiently, we guarantee everything will be properly disposed of, up to code, and properly up to code. Insulation is an investment in your property. You’re choosing to reduce long-term costs by taking action now, and you may be surprised how you can save. Reduce how often you cool/heat your home. After a complete home insulation service, you won’t need to touch the thermostat as often. We make it easy to keep a constant temperature and lower your reliance on your HVAC system. This will cut down on your energy usage and costs, especially during winter and summer. Extend the lifespan of your HVAC system. A harder working HVAC system wears out quickly. Overuse can reduce its lifespan by 10 years or more. This number can increase if your unit is not properly sized for your home. Secret savings like these make insulation an even better investment. Insulation pays for itself. Insulation is a service that pays for itself. In as little as 6 years the cost of your insulation will be returned to you through energy bill reductions. After that occurs you’re saving money on every single bill. Floor Insulation – Sub-floors and basements let in cold air 24/7. This is worse during the winter months. We use a combination of insulation and vapor barriers in order to protect against moisture and heat loss. Proper insulation starts at the ground level. 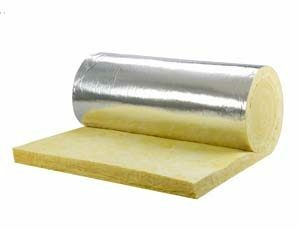 Wall Insulation – Walls let out more heat than any other surface in the home. That’s why we use mold and mildew resistant spray-insulation. 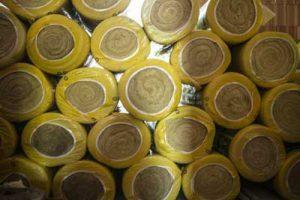 It forms around piping and electrical boxes, and won’t settle like other insulation types. This prevents airflow between the inside and outside of your home. Air Sealing – If you have an HVAC system, you need duct sealing. When ducts aren’t properly sealed they let unfiltered air into the home. This air may contain bacteria, allergens, animal waste, mildew, and more. It also harms the efficiency of your system. Window Insulation – Insulating your windows protects against heat loss and noise pollution. Newer windows do an even better job at this while adding in UV protection. We always check your existing windows first before advising new ones, but efficiency is increasing every year. Insulate your Vancouver, WA home. We can save you money and make your home more comfortable. Just call or contact us to schedule your free home energy audit and discover how much you can save every month.